The clientCertificatePolicy attribute specifies whether client certificates will be allowed, required, or ignored. The validationFlags attribute specifies an FTP site's behavior for checking for certificate revocation. The revocationFreshnessTime attribute specifies the amount of time that the revocation list is valid. The useActiveDirectoryMapping attribute specifies whether Active Directory mapping should be allowed for client certificates. Note: This attribute is used in combination with the <clientCertAuthentication> element to configure certificate mapping by using Active Directory. 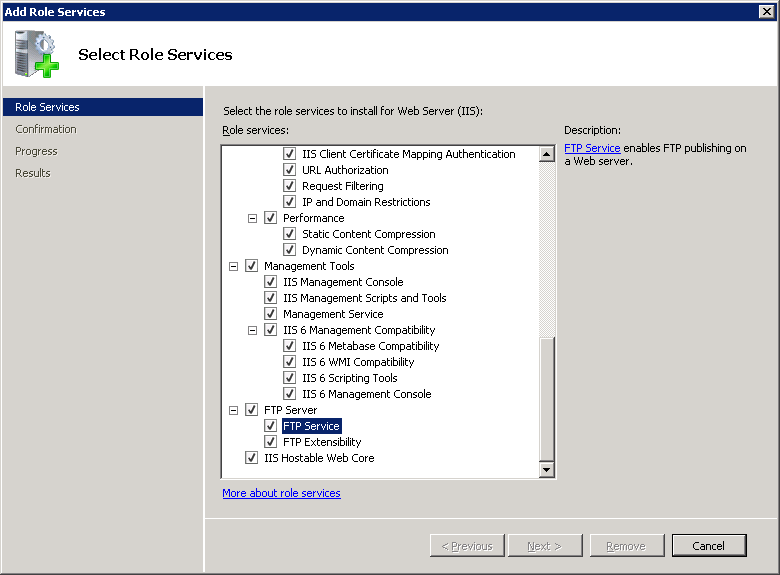 IIS 10.0 The <sslClientCertificates> element was not modified in IIS 10.0. 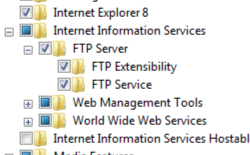 IIS 8.5 The <sslClientCertificates> element was not modified in IIS 8.5. 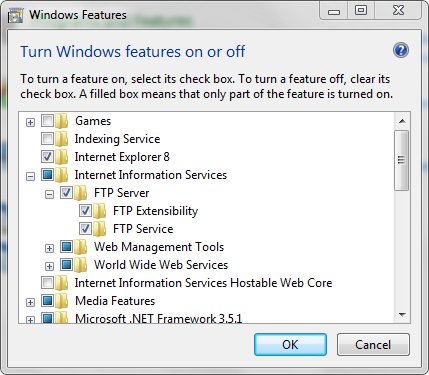 IIS 8.0 The <sslClientCertificates> element was not modified in IIS 8.0. IIS 7.5 The <sslClientCertificates> element of the <security> element ships as a feature of IIS 7.5. 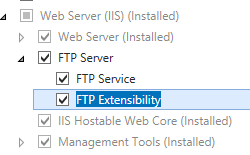 IIS 7.0 The <sslClientCertificates> element of the <security> element was introduced in FTP 7.0, which was a separate download for IIS 7.0. 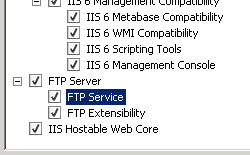 IIS 6.0 The <ftpServer> element and its child elements replace the IIS 6.0 FTP settings that were located in the LM/MSFTPSVC metabase path. At this time there is no user interface that enables you to configure the client certificate authentication settings for an FTP site. 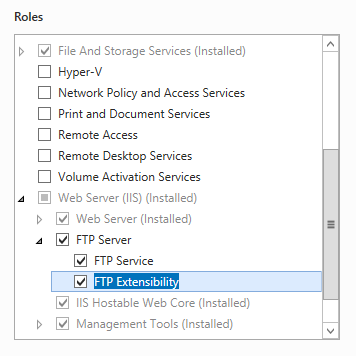 See the Configuration and Sample Code sections of this document for additional information about how to configure the client certificate authentication settings custom features to an FTP site. The <sslClientCertificates> element is configured at the site level. Specifies the client certificate policy. Specifies that client certificates will not be negotiated for SSL session. Specifies that client certificates will be allowed. If the client chooses to send a certificate, then certificate must be valid and the server must be able to successfully validate it. Specifies that client certificates will be required. 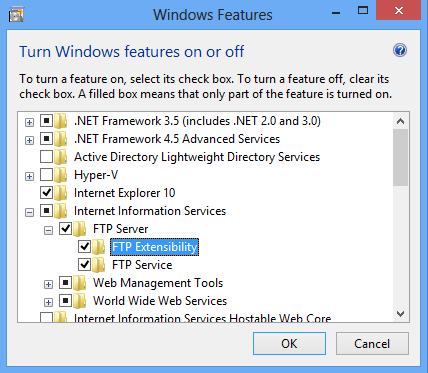 FTP clients will not be allowed to connect unless they send a valid client certificate to the server. The default value is CertIgnore. Specifies the flags that affect client certificate validation. Specifies that certificate revocation checks will be skipped. Warning: It is not recommended to skip revocation validation. Specifies that revocation checking only accesses cached URLs. Specifies only cached URLs in building a certificate chain. The Internet and intranet are not searched for URL-based objects. The numeric value is 4. Does not check client certificate for usage flags. Usage check is enabled by default and it is meant to assure that only client certificates that allow "Client authentication" are allowed. The numeric value is 8. Specifies the amount of time the revocation list is valid. The default value is 00:00:00. Specifies the timeout for retrieving certificate revocation information. The default value is 00:01:00.
true if Active Directory mapping should be allowed for client certificates; otherwise, false. Active Directory mapping allows domain users to log on by using a client certificate that is configured in Active Directory. Note: This feature only allows the SSL layer to attempt to map a client certificate to a user token; the token will not be used automatically. The <clientCertAuthentication> element is used to enable the mapped token for use by FTP instead of credentials specified through "USER" and "PASS" commands. The following sample displays an FTP site that requires SSL and client certificates for both the data channel and the control channel. 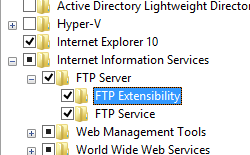 The following examples configure an FTP site so that it requires client certificates and requires SSL for both the data channel and the control channel.